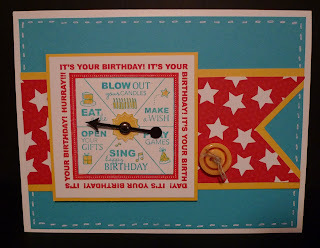 Karina's Kreations: Take a Spin B-Day Card! 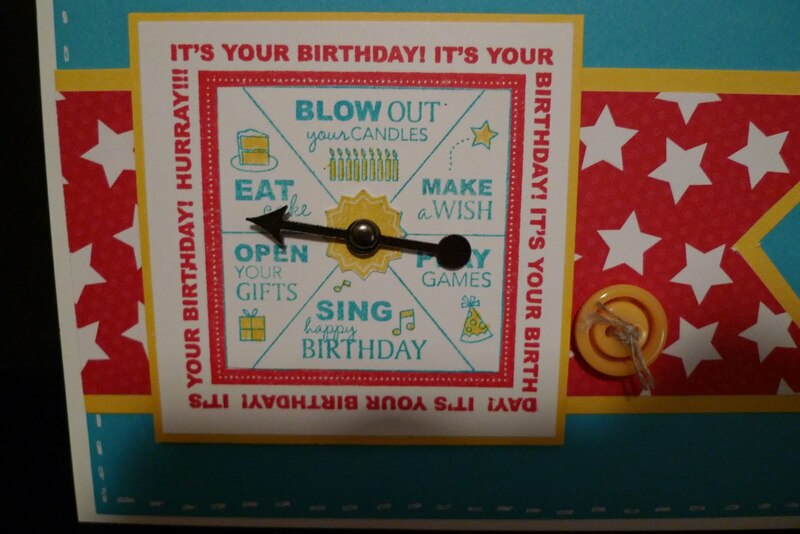 Take a Spin B-Day Card! My son needed a birthday card for a friend. I find cards for men & boys very difficult. 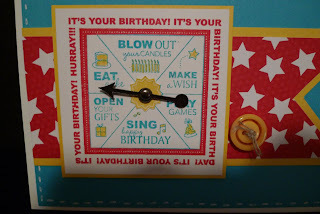 I thought I would use the Take a Spin stamp set with a Game Spinner Hand. His friend is 10 so I still wanted the card to be fun! I stamped the spinner image image three times and cut out the different layers. The card stock colors are Whisper White, Tempting Turquoise, Real Red & Daffodil Delight. 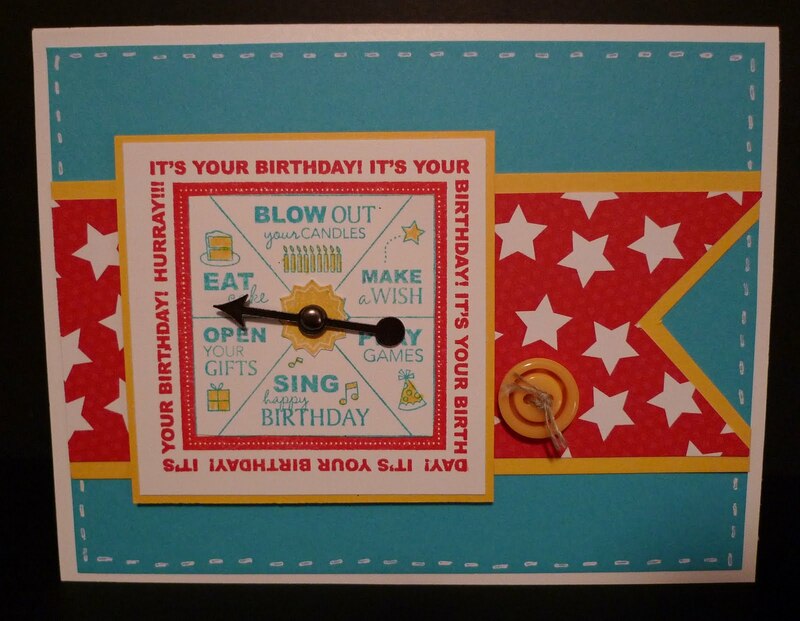 The Designer Paper is called Big Top Birthday. I did some faux stitching with a Signo White Gel Pen.